Although Albert & Moo only launched six months ago, owning my own interiors store is something I have wanted to do for years. And although at the moment it's an online only store, the plan has always been to have a real shop as well at some point. So when I decided last year the time was right to go for it with the website, I knew that I would also want to sell at some pop up events, until the time is right to add that real life shop. 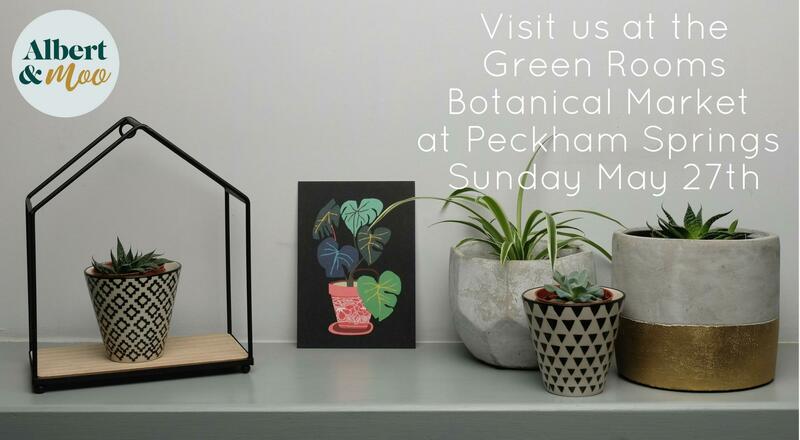 So I'm delighted to let you know that next month I'll be taking part in my first pop up event, Green Rooms Botanical Market, at Peckham Springs, just down the road from Albert & Moo HQ, in Peckham, London. It's taking place on Sunday 27th May, which is the second May bank holiday weekend. 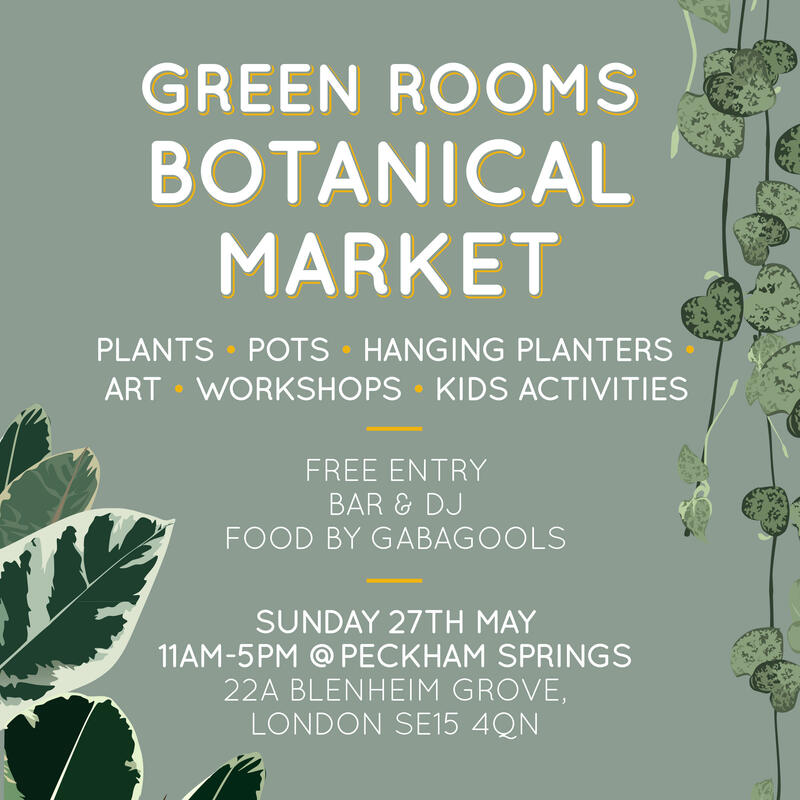 Being a botanical themed market, I will be there selling our plants and plant pots, and also some of our botanical themed homeware, such as the botanical jungle cushion and the Join candles. So if you're local to Peckham and not going away for the back holiday, then please to come along to say hi. And if you can't make it, then you can still shop our selection of plants and plant pots here.